After years of playing in an old parking lot, students at Rise Academy will finally have a field to call their own. With the help of the NFL Foundation, the NY/NJ Super Bowl Host Committee and the NY/NJ Snowflake Youth Foundation, they received a $225,000 grant to begin construction on a new Rise field adjacent to the school. We couldn’t be more excited to provide our students with a new space, plus more opportunities for exercise and fun. Rise Academy is committed to giving kids time in their day to move around. It was a component of the school’s vision in 2006 to create well-rounded college-ready scholars. For years they had to make do with a blacktop parking lot just so our kids could get some fresh air. Not anymore. Once completed, our 397 Rise kids will have a great turf field to play a multitude of sports and get out some of that middle school energy. 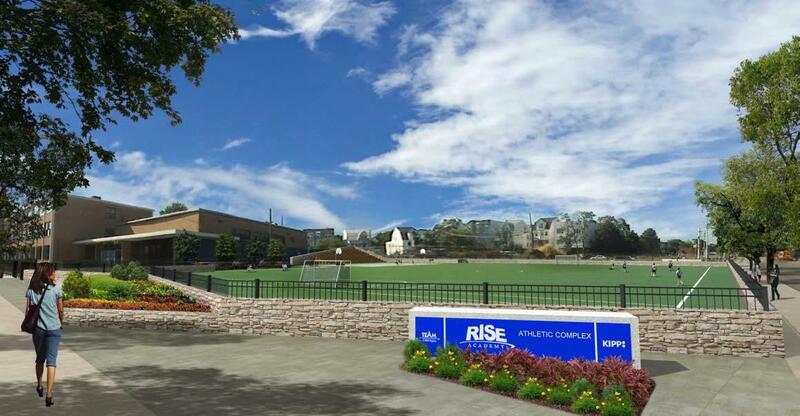 For years since the Rise Academy soccer team was formed, players and coaches walked from Rise over to West Side Park to practice and host matches. It was great to have this resource close by, but having it on campus is safer and more fun. Who doesn’t love defending their own turf in a soccer match? We’re excited to provide a place to host Rise and TEAM games. We’re even more excited to expand to other sports and get more kids of Newark involved. Another really exciting aspect of this project lies in the resource it provides to the community. 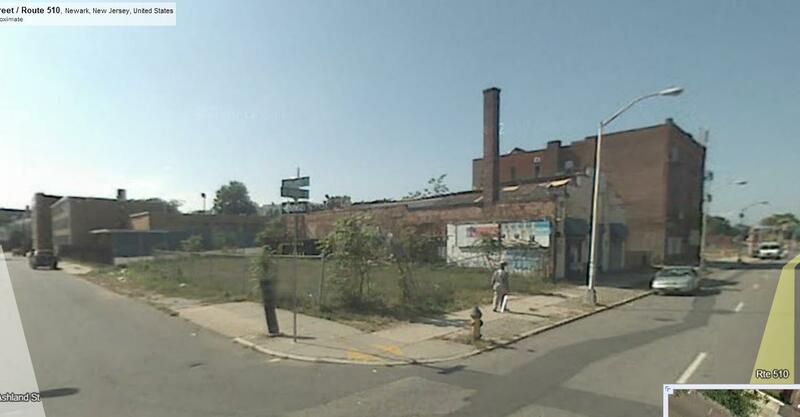 Once an abandoned street corner, the Rise Academy Field will change the entire intersection on South Orange Avenue. It will replace a crumbling abandoned building and empty lots. Additionally, the field will be open to partner community organizations in the future. The neighborhood immediately around the school is lacking outdoor space other than West Side Park, which makes the need for more green space even greater. We’re happy we can provide this to others in the community. Since TEAM began, we have worked to help transform Newark into a city of world-class public education. Part of that vision is providing a well-rounded education for our students. This field, and the opportunities to exercise and get outside within the confines of a city, represents a huge part of that vision. We are extremely grateful for the opportunities this opens for our kids and other kids in Newark. Michael Alderman is a staff writer and content manager for TEAM Schools. You can find him on Google+ and Twitter and interact with him there.